“Slugs and snails, and puppy dogs’ tails” – these and the 95% of animals species that are invertebrates (well, except for the puppy tails) – are the critters that preoccupy this week’s Real Scientists curator, David Winter/@TheAtavism. He’s an evolutionary geneticist who spends time fossicking about in the leaf litter of New Zealand’s forests, combining field work and post-doctoral research with blogging at The Atavism and occasionally sticking his neck out for science, for example, here and here. So how did David end up in science? Chemistry experiments at lunch time? Hard. Core. 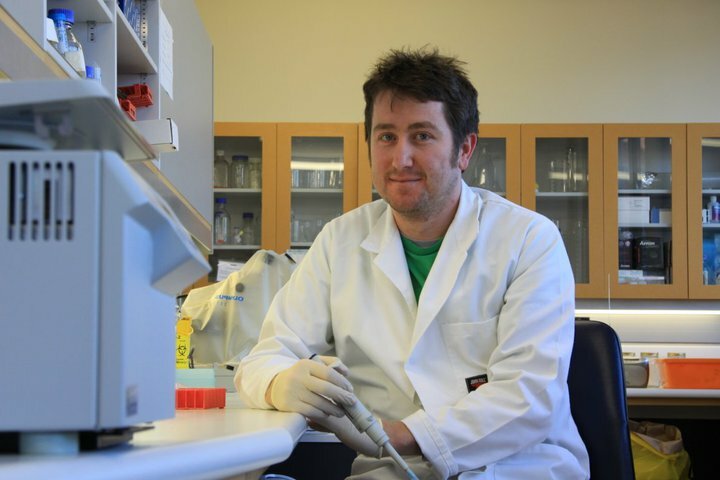 David went on study genetics at University and eventually a PhD at the University of Otago, Dunedin, New Zealand. In choosing evolutionary genetics, instead of medical research, David wanted to “answer old questions with new tools,” using molecular biology to answer age-old biological questions like where does a species begin and end? Where do species come from? How does evolutionary change happen? David gets the best of both worlds – the field and the laboratory. David’s interests in invertebrates extend from snails and peripatus to placazoans, spiders and harvestmen [Ed. : sorry guys I am not linking to that], to vertebrates like kiwis, the awfully cute reptile tuatara and bellbirds. So what research would he would like to do, if money and time were no object? make a real start on getting to grips with the diversity of our own species. ” Getting to grips with the diversity of our own species.” There’s the key. Snails could be another model organism, waiting in the wings, to teach us more about speciation. Apart from snail and placazoan hunting, David plays soccer, brews beer and cycles up the sides of eroded volcano cones for fun. In addition to his blog, David is also published in the anthology, Best Science Writing Online. This week, we look forward to David sharing some of his research and writing, especially some of the finds on his recent field trip to Hauturu/Little Barrier Island. Got any queries about snails and New Zeland’s unique flora and fauna? Ask David.